When leaving the EU has you on the edge of your seat, and we’re not talking brexit. The sights, sounds and scent of Africa. Leaving the EU seems to be the hot topic at the moment, so DISH left it earlier than the rest of the country, well at least for a few days. Morocco, Africa. Or to be more precise the bustling port of Tangier. Be prepared for an assault on every one of your senses as you arrive on the African continent. In a good way and bad. Forget everything you’ve heard. 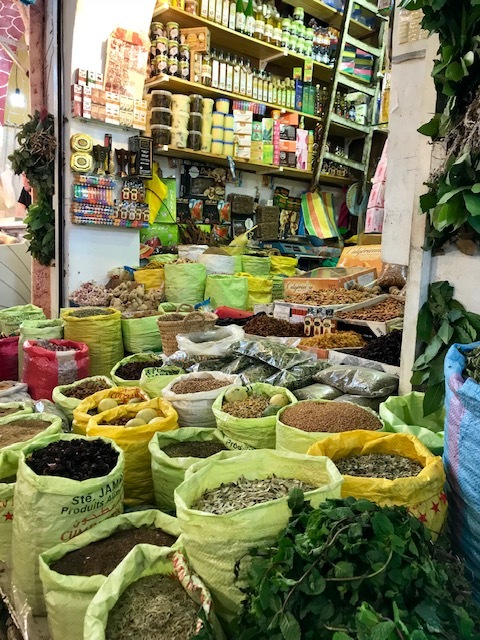 North Africa is a mix of crazy and chaotic with an aroma of spice. If you’re looking for an all inclusive resort beside the bars and restaurants then this place isn’t for you. Tangier isn’t a tourist destination, Yet. Its an experience alright but not one for relaxing. You just can’t. You’re not left alone long enough to. There are beautiful beaches outside of the city but they’re deserted. Spotless golden sand stretching for miles where the Meditteranian sea meets the Atlantic ocean. But no one. Gap year students take note, Thailand is the easy option. You’ll find yourself here alright. Africa isn’t for everyone and we found that out pretty quick. The weather is mild in winter and hot in summer. There are areas of beauty in the city, it is steeped in history and dating back to the 5th century. A melting pot of eastern and western influences. The ornate African doors all around are fascinating. Like this one on our hotel when we visited, The Riad Mokhtar boutique 5 star hotel. Minutes from the over crowded bustling markets and city centre madness, yet when you cross the doorway there is a zen like feeling of relaxation. Thankfully. African doors are really two doors in one. You can see it clearly here at the entrance to our hotel. The smaller inner door is the winter door, and the larger main door is for summer use. We met our guide as we got off the boat from Spain. Or should we say he introduced himself, agreed a price for his services and led us in to the city within 30 seconds of setting foot on African soil. Within minutes we were being guided though the Medina. Meaning the old walled section of an African city. Its beating heart. Outside lined up, you’ll find all types of tradesmen waiting for work. painters standing with their brushes and pots. carpenters with their saw and chisels. We wanted to stock up on spices but never got to stand still long enough to barter for bargains. The smell of the place though was amazing. Aromatic spices, curry powders, fresh cumin, cinnamon, coriander. Outside of the city, the place is being regenerated and in a few years there will be tourist areas and development of resorts we’re told. A new airport and football stadium is being built at the moment. For now though, its very much untouched by mass tourism. An experience thats for sure. Beautiful yet barren in places. Enjoy it before the tourists get there. We dare you.